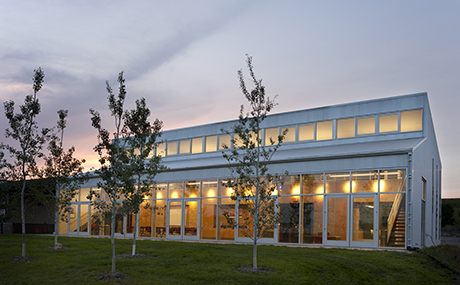 City of Sioux Falls Public Works Environmental Education Center is certified LEED Gold. The City of Sioux Falls Public Works Division Environmental Education Center is officially a LEED Gold facility and the City’s first LEED project. By utilizing green strategies, the City facility was projected to save 30 percent in water efficiencies and 42 percent in energy efficiences. The Center exceeded expectations by actually using 46.5 percent less energy than a similarily sized office building of standard design. The Environmental Center is Koch Hazard’s 11th LEED certified project. Koch Hazard currently has six additional projects on track for LEED certification.